In 1957, the first Amica gas/coal cooker was produced in Wronki, Poland. Fifty years later, we’re producing a whole range of stylish, modern, energy-efficient household appliances designed to make our customers’ lives that much easier. With Amica freestanding and integrated cookers, ovens, fridges, freezers, washing machines, dishwashers, cooker hobs, microwaves and more available from many top UK home and kitchen appliance retailers, today our company is almost unrecognisable from the small operation which began in the 1950s – but we still retain our core values and a commitment to providing intuitive, ergonomic technological solutions to household problems. Aside from designing and implementing new technological solutions, we also back education. In collaboration with Poznan University of Economics, the company have formed the Amica Appliances University – an innovative programme of product and sales training, mainly aimed at employees selling household appliances and designers from kitchen furniture studios. At the Amica Appliances University, course participants acquire knowledge of our brand and products, as well as sales techniques, team management and effective organisation of work. Red dot award” for Amica IN. Amica reaches the milestone of selling one million cookers in one year for the first time. 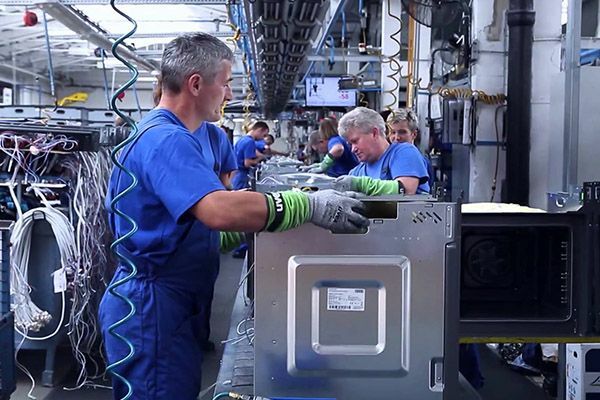 Amica establishes its washing machine factory and begins production on its range. Amica appear on the Warsaw stock exchange for the first time. Amica are given iso 14001 certification. Amica begins manufacturing its range of freestanding and integrated refrigerators. Amica takes full ownership of its hob factory. New Amica factory begins production on range of Gas, Electric, Ceramic and Induction Hobs. Amica’s new logo appears on all products. Amica produces its first Gas Cooker. 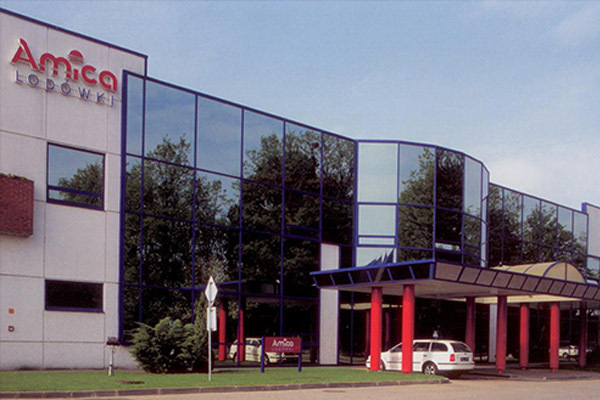 Amica is established in Wronki, Poland.